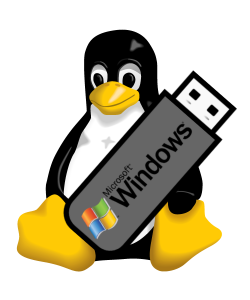 In the following procedure we will create a Microsoft Windows bootable USB flash drive in Linux, from scratch with command line. I’m using Debian 9 but you can use any GNU/Linux distribution as long as you have installed dosfstools and syslinux. Requires root privileges. Warning: All the data on the USB flash drive will be destroyed without warning! Make sure you selected the correct drive or you will destroy a wrong disk! 1. Identify the USB flash drive, in my example the device is /dev/sdx (Kingston DT microDuo 3.0 / 16G). 2. Delete partitions by clearing the Master Boot Record, the following command will write 0x00 to the first 512 bytes. All data on /dev/sdx will be destroyed! 3. Create one big partition with boot flag on. 4. Format the created partition /dev/sdx1 as FAT32 with the label “WINDOWS”. mkfs.vfat -F32 /dev/sdx1 -n "WINDOWS"
5. Write the bootstrap code (syslinux/mbr.bin) to the MBR of /dev/sdx. In Debian 9 the file is found in /usr/lib/syslinux/mbr/, if you are using an other distribution run find / -name mbr.bin. 6. Install syslinux, this will alter the boot sector and copy ldlinux.sys into the root directory. 7. Mount the USB flash drive, copy syslinux BIOS modules and create syslinux.cfg. In Debian 9 the modules are found in /usr/lib/syslinux/modules/bios/, if you are using an other distribution run find / -name syslinux.c32. 8. Mount the Microsoft Windows ISO image. 9. 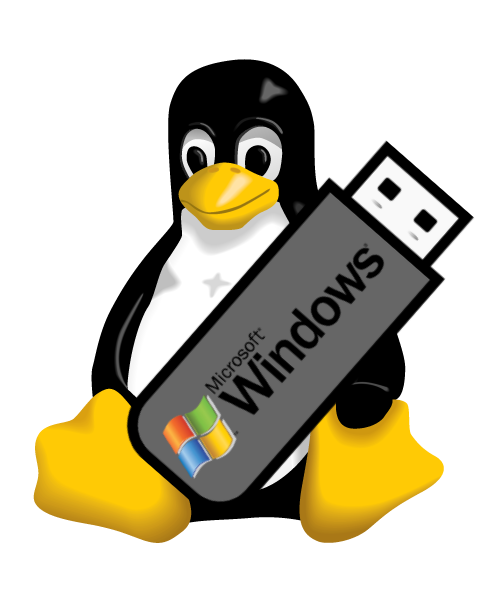 Copy the Windows installation files to the USB flash drive, it might take a few minutes. 10. Unmount the USB flash drive. Don’t skip this step! Is needed to complete all pending writes.